Renowned yester year Telugu writer Narasa Raju, in an interview recalled his conversation with the legend Chakrapani about another legend Surayakantham. Apparently, when he asked Chakrapani about scenes/situations establishing her character in the movie ‘Gundamma Katha’, he tersely replied, ‘What else would the audience expect from her. No need’. This is the absolute clarity the makers had in the past, with their frugality written all over in building a screenplay. Over the years, directors of Super Star Rajnikanth’s adopted a similar kind of frugality to his portrayal and also extended it to the story line. There are neither lead scenes about his ability to perform death defying stunts, nor a Christopher Nolan’s painstaking attempt to project the transformation into a hero. He is Rajnikanth and he can do whatever he wants, let it be a super-hero or even God. No matter what character he plays in the movie, he still does his regular stuff that reflects his on-screen and off-screen image. What is ‘regular’ to Rajnikath has been expanded to cover everything imaginable under sun and made it to silven screen, and what could not, made it to the internet and social media. And the audience/fans all over the world devoured it in one bite. ‘Lingaa’ is another example where the audience get to see him doing everything that others would do in a dozen movies. (He even does a ‘Mission Impossible’ kind of heist in a song.) Infact, isn’t it the feature of an Indian superstar flick? That you get to watch several movies with one movie ticket? A single movie can become a confluence of global cinema. 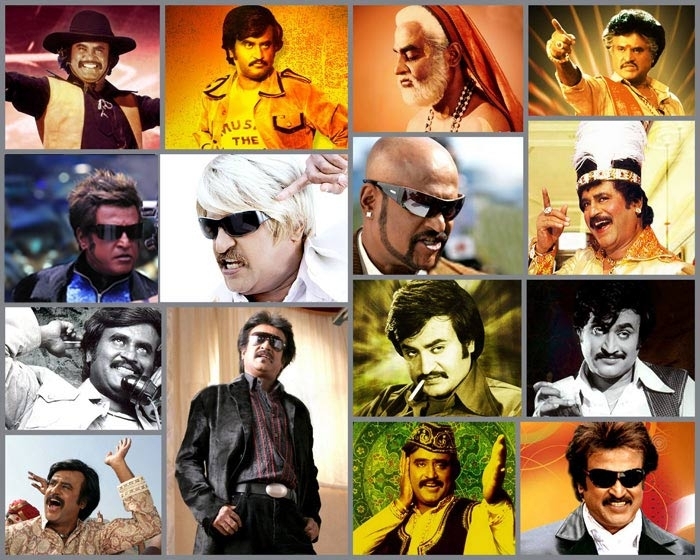 And, if it is the flick of the superstar of supestars–Rajnikanth–one can imagine what gets packed in a single movie. ‘Lingaa’ is one such ambitious film that picks up elements from many films (including his own) and attempts to package Rajnikath in a coherent way. And it succeeds partially. A few scenes, specially in the second half, gives us a taste of the vintage Super Star. But, with a duration close to three hours, replete with dull songs, heavy heroines, weak set pieces and insipid gags, the movie misses the mark and one leaves the movie hall a bit disappointed. Guess, the makers will have to be a less frugal about the storyline? Or is it just a case of getting the elements right and their execution? These are some of the questions that would haunt the film-makers of the next Rajni film …which even legends like Chakrapani might find it difficult to crack, if they were around. Tailpiece: Rajnikanth is shown reading ‘The Hero with a thousand faces’ by Joseph Campbell. Here’s an old blog post on Hero’s journey from this book. Exodus-Gods and Kings, is a disappointing effort from (Sir) Ridley Scott. While the movie’s scale and a few action sequences (good 3D effect as well) pique your interest, it lacks the drama to sustain it. One cannot play too much with a known and an old myth/story, but a few creative liberties would have helped this aspiring-to-be-a-blockbuster effort. Or it should have been true to the fable/myth/religious context. The movie takes a middle approach and it shows in all the departments. Chrisitian Bale and the rest of the cast do what they are supposed to do. Seasoned actors like Ben Kingsley and Sigourney Weaver do just a little bit, lest you should miss them or be mistaken for set properties. Here’s an excellent snippet from a review on a Forbes. While the movie’s marketing tried to steer away from the classic ‘The Ten Commandments’ (so did the animated film ‘The Prince of Egypt’ in the past) the comparisons would be inevitable. If the old film plate effects do not bother you, The Ten Commandments is still a great film to watch. Tailpiece: The famous red sea sequence is treated ambiguously and becomes ordinary in the end, when a drenched Moses is found on the beach, as if waking up from a stupor. Songs from the movie ‘Alag Alag’ used to be a regular feature inDoordardarshan’s Chitrahaar, in the late 80s. This song ‘Kabhi Bekasi ne maara’ was a favorite for all of us kids specially the wah-wah bit. One of the prominent wah-wah er in this video is Bhagawan Dada…an yester year superstar who had to lead his last years in penury. Wikipedia as a small article on him, a rags to riches… and back to rags story. Apparently his dance moves were an inspiration for the likes of Amitabh Bachchan and Govinda. Here’s a video from his glorious day featuring those famous dance moves.